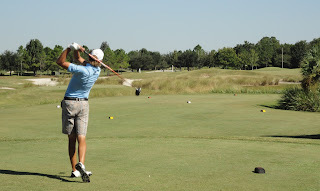 Sam Osborne at a West Florida Golf Tour event. Photo provided by the WFGT. 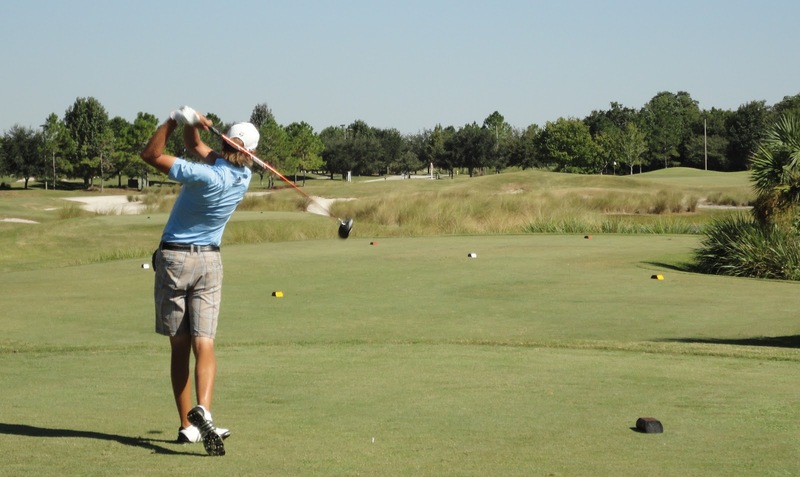 Sam Osborne was the only player from Manatee County to progress from the Florida sectional site at Black Diamond Ranch in Lecanto on Monday. The Palmetto resident and Englishman shot a 3-under par 141 total to take one of three qualifying berths awarded into this month's United States Open. The 112th edition of the men's golf major is scheduled for June 14-17 at the famed Olympic Club in San Francisco. Osborne finished in second place in the 36-hole sectional to advance to his first Open and major of any kind. However, yours truly has an interesting view on Osborne's game. Because I caddied for Osborne at a West Florida Golf Tour event at the Ritz-Carlton Members Golf Club last September for a story I wrote in the Bradenton Herald on the experience of what a caddy goes through at the professional level. I also wrote about the differences in caddying at the club level like the Ritz, which uses a forecaddying system. Osborne's game that day was everything I had heard about from some of his peers. He hit the ball far, and struck iron shots crisp. The putter, though, wasn't quite on all the time. He three-putted the final hole for a 3-under par 69 to tie for second in the event. Perhaps I should have realized that potential would pay off several months later? Despite the lack of Nostradamus skills, yours truly witnessed a player that mid-September day with all the tools necessary to make it on the big stage. Now that big stage is arriving, and Osborne has a chance to test his talents against the top players in the world. Great for Sam Osborne that he is the only player from Manatee County to progress..
Any recent updates that you can share here..?? any game that you playing..i think first of all you should enjoy every moment game..and shouldn't be stress at any point of time..Enjoy and thanks for sharing this post..